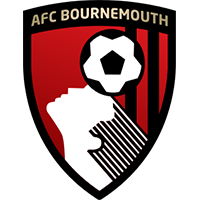 The stadium is near Boscombe, a 30-minute walk (1.5 miles) west from the town centre. Holdenhurst Road is the main road linking the centre with Kings Park, where the stadium is located. Christchurch Road, BH7 6DL; 20 mins' walk. Turn right, onto Christchurch Road and follow for 400m. Turn right onto Gloucester Road, and follow all the way to Goldsands Stadium. The station is located at Holdenhurst Road, BH8 8HX; 30 mins' walk from ground. Leave by south exit facing Asda, turning left towards the main road. Turn left up Holdenhurst Road for 25 minutes. Turn right at the roundabout into Kings Park Drive, stadium on your left. More Bus Wilts & Dorset: bus routes from Lymington, Salisbury, Poole and Boscombe. Yellow Buses has routes that pass Bournemouth and Pokesdown train stations. The A338 bisects the town centre, passing Bournemouth station. The A35 travels east from the centre to Boscombe, passing Pokesdown station and the area south of the stadium. Holdenhurst Road runs east from the centre. It ends at the roundabout with Wessex Way (A338) and Kings Park Avenue, close to Goldsands Stadium. Wessex Way (A338), Holdenhurst Road (A3049) and Littledown Avenue converge at the roundabout with Kings Park Drive, just north of the stadium. Kings Park Drive passes west of the stadium, and includes the entrances / exit for the main and south stand car parks. The south stand car park exits at a mini-roundabout on Kings Park Avenue and Gloucester Road. The area around the stadium is predominantly greenfield, with Kings Park and the local athletics track, indoor bowling centre nearby landmarks. There is housing to the north of the stadium, on and around Holdenhurst Road. South Stand Car Park is available for away fans: £1, other charges apply after midnight. Entrance is located on Kings Park Drive, opposite the bowling green. (Note there is also a separate entrance for the main stadium car park on this road). 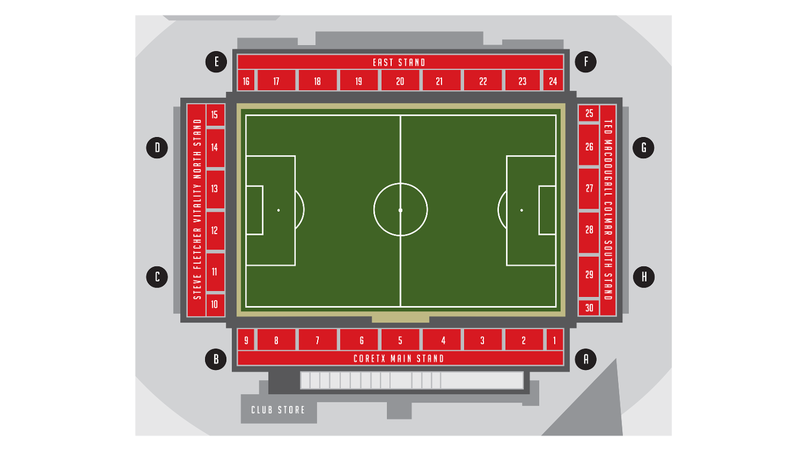 Post-match, you can exit into Kings Park Drive, or use the south exit into Gloucester Road. The area around the stadium is local suburban roads, which can lead to some congestion when exiting the car park after the game. The Vitality Stadium, also referred to as Goldsands and Dean Court, lies east of the town centre and close to Boscombe. It was built on the site of an old gravel pit using land donated by the Cooper-Dean family. A 2001 rebuild saw the pitch rotated 90 degrees.